Time Machine believes in balance! A healthier and happier life does not have to mean self-denial of life’s guilty pleasures; rather, we believe in promoting balance to fortify a great workout or make up for “a drink” that turns into one too many. Our goal at Time Machine is to strike a healthy balance that centers around healing and nourishing our bodies and lives. We know that life can be hectic, and the scales of balance may tip in every direction, but our mission is to use the decades of experience and education we have to personalize our products to your individual needs. Cleansing is the ultimate way to take a break. Each bottle of Time Machine juice contains an all-inclusive trip for your body that will provide you with a fresh start and a more effective way for you to reach your goals. Just “lay back” and let us do the work to replenish your enzymes, nutrients, and natural glow, while you give your body the time it needs to relax and repair. 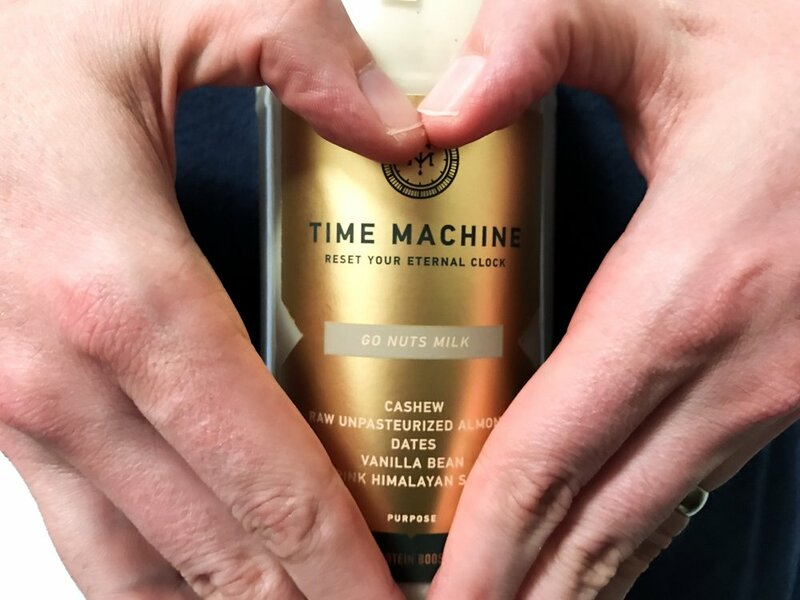 Whether you choose one day or one week, Time Machine cleanses will help you rewind and reset with organic, unpasteurized, non-sterilized, non-chemically treated, and non-HPP processed juices hand-crafted in Chicago. Energize and invigorate the body. Improve healthy and not-so-healthy habits. Center on balance and restoration. Rehydrate skin for a natural glow. Rest when you can throughout your cleanse. Feel free to rotate between water and hot tea for added warmth and variety. We want our juice to be totally fresh, alive, and unadulterated. To make cold-pressed juice, we take fresh ingredients and apply a massive amount of force, extracting every last bit of fruit and vegetable goodness. What’s left is a pure, completely raw final product. Centrifugal juicers (common at many juice bars and home kitchens), on the other hand, use high-speed blades that literally cook away precious nutrients as they extract juice. Pound for pound, sip for sip, cold-pressed is simply the highest-quality and most nutritious juice out there. While some others use called HPP to lengthen shelf life, such processes decrease nutritional value. Our Time Capsule 2 oz shooters are concentrated supplement that you can drink straight up, blend it into a juice or smoothie to boost benefits, or even use to make a hot tea! These guys are great on the go. Slip it into your handbag or backpack for a midday pick-me-up. Take it as you wish and as often as you like.